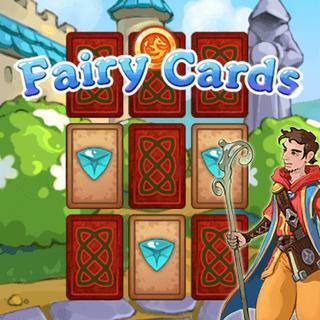 Play Fairy Cards and more New Games Games on Games1.com! Fairy Cards invites you on a magical journey where your task is to find identical cards. Help the young apprentice to become a true magician and master all challenges. The more identical cards you find in a row, the higher your combo bonus. Prove your skills in more than 60 fun levels and beat the highest score!